implicit bias « Hercules and the umpire. 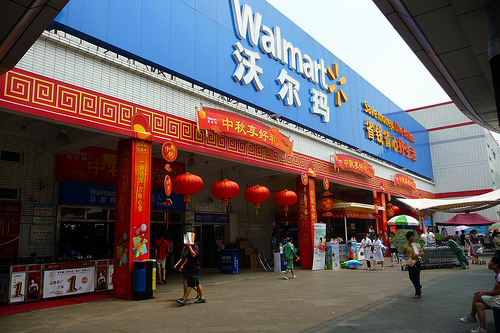 Photo credit: Walmart Shekou Shenzhen China via dcmaster’s photostream per Creative Commons license. This is where Petra shops in China. Petra and I went to WaMar (Walmart) yesterday. It was just the two of us, and she took my hand as we crossed the parking lot. Petra had never been to an a WaMar in ‘merica. But, she had been to the WaMar in Shekou many times. Petra liked the ‘merica WaMar because the aisles weren’t crowded. She told me that in China the aisles are crowded with ‘nees people not ‘merica people. I asked her whether she liked the ‘nees people, and she looked at me like I was a moron. (Grampas are like that.) She shrugged as if to say, why wouldn’t I like ‘ness people. * I don’t think she is developing an implicit bias, but I may be wrong. 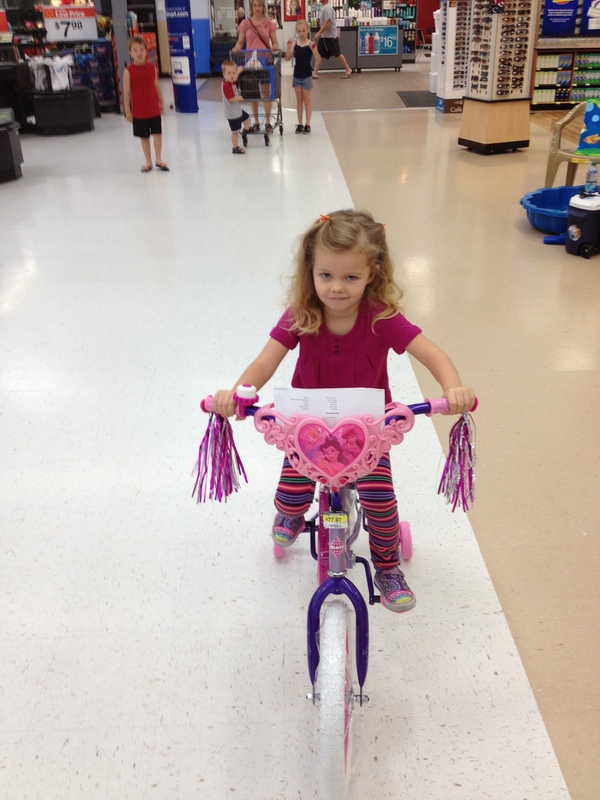 Anyway, we bought Petra her first real bike. The bike was surely manufactured by the ‘nees people. Petra and the bike are pictured below. Somethings are more important than others. *Petra understands enough Mandrin that she translates for her daddy when they ride in a cab. Although he is from Canada and speaks English fluently, Czech is her daddy’s first language. I asked Petra what language she preferred. She thought she probably liked English best.